The EUR/USD currency pair is still consolidating. Last Friday the bears tried to start pushing the price downwards, but failed, and right now the market is growing up again. The price may break the maximum during Monday. 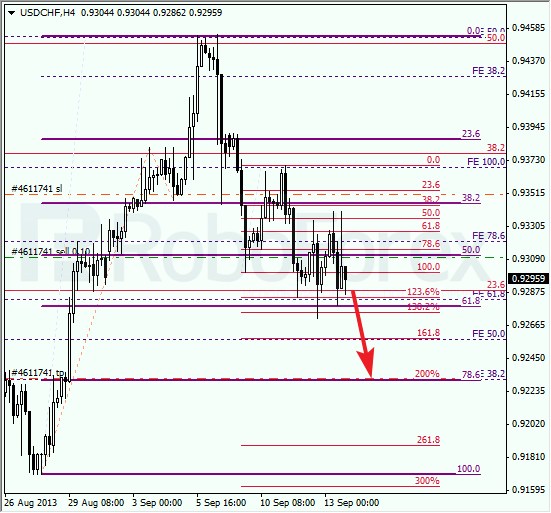 The target is in the area formed by the levels of 78.6% and 261.8%. At the H1 chart, the bulls faced the resistance from the level of 61.8%: they tried to break it three times, but unsuccessfully. If they succeed to break this level next time, the price may reach its predicted targets during the day. Franc continues forming a descending correction; the price wasn’t able to stay above the level of 50%. If the market breaks the level of 61.8%, the price will continue falling down towards the level of 78.6%. 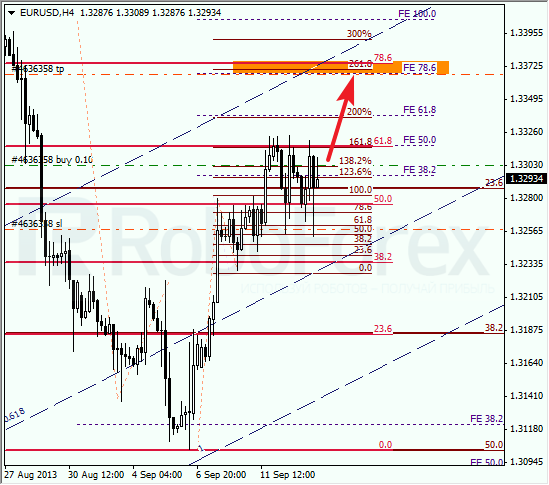 As we can see at the H1 chart, the market rebounded from the local level of 61.8%. This is the reason why I’m keeping my sell order. 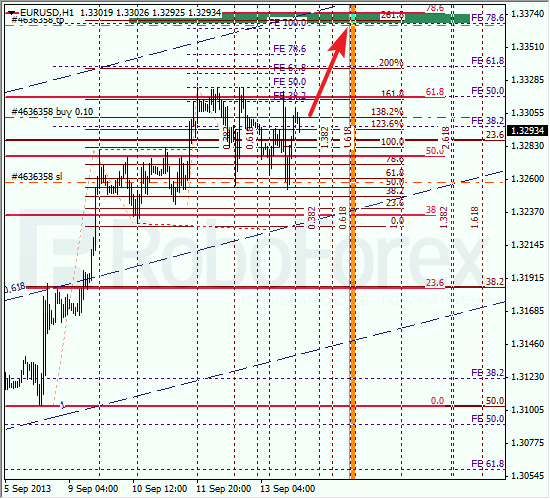 According to the analysis of the temporary fibo-zones, the targets may be reached during Monday.